Welcome to another of our Best of St Lucia with our readers. We wouldn’t have this amazing blog without including our readers. The goal is to show you how amazing St Lucia is and why it’s the place to be. You do not have to take our words for it. Here is another amazing review of the island by one of our readers. This is the best of St Lucia with Cindy. Why did you choose St Lucia as the destination of choice? My friend picked St Lucia as their wedding destination in April 2017 and I went back in September (experienced my first Hurricane Maria). Nothing major damaged just a few landslides. I am amazed at how the locals braced this kind of weather every year and still hold a friendly smile. What were your favorite places to visit whiles on the island? Everywhere! From Laborie, Soufriere, to Rodney Bay. 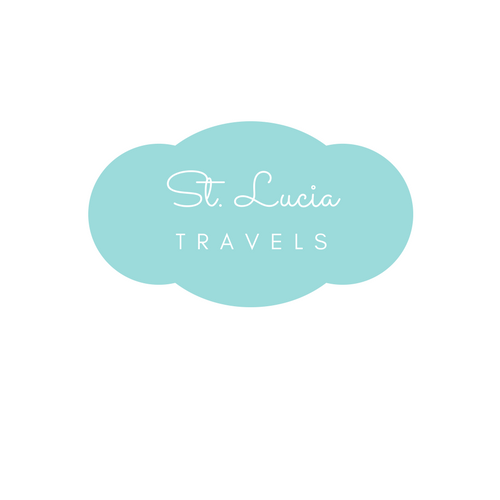 Where did you stay whiles in St. Lucia and how was the accommodation (hotel, Guesthouse, Airbnb)? My first stay was through an Airbnb in Piaye. A cute little place called Breezy Isle Cottage runs by super nice people Chanterlina and her husband Lybon. They were so nice. They cooked for us and even showed us around Laborie and Soufriere. The second stay was another Airbnb in Castries, great view and well maintained. The third stay was in Cap Estate, beautiful neighborhood. What was the most interesting food item that you had, and where did you have it? I liked the fish with coconut rice in Salt Rush Cafe. I really enjoyed an amazing burger with no cheese ( I’m lactose intolerance) at The Naked Fisherman. I even told my friends and family about the best burger there. Oh, I need to mention this great restaurant on Cas en Bas Beach, Majorie’s Restaurant. Everything was so good there from a different kind of seafood to my favorite medium rare steak. I think it is new. What were the people like in St. Lucia? St Lucian were so nice, generous, friendly and welcoming to me. What were some of the activities that you did? We went out to couple beaches, street party in Rodney Bay, few nightclubs. I did the mud bath in Soufriere. Must do. Went to Tet Paul Nature Trail to see The Pitons. Checked out a secluded waterfall in the Canaries. Was it easy to get around the island by transportation? Yes, the first time we went there, I took the bus (minivan). Saved me a lot of money. I remember sitting on the bus going from View Fort to Castries, each stop the bus made, every local encountered would say “Good Afternoon” to me. Normally I don’t get acknowledged like that. St Lucians are friendly. What was the one thing you really wanted to do but did not get a chance? Sail. Dive. Check out Jade Mountain (seriously all those times I thought Jade Mtn was called The Pitons. Lol). Explore more hidden waterfalls. Hang out more with the locals and explore more on the east side of the island. What do you miss most about the island? Calm and friendly people. The beauty of the island. Will you visit St. Lucia again, and will you recommend it to your friends and family? Definitely! I’m already planning my next trip there. St Lucia is a hidden gem. I have already told my friends and family to visit this beautiful island. We hope you enjoyed our trip down memory lane with Cindy. If you loved, please PIN IT HERE and share it. St Lucia looks beautiful. I would love to go there. My husband and I have been looking for a vacation spot for our anniversary.